After witnessing history on the track at The Championships Day 2 – Longines Queen Elizabeth Stakes Day, a record Royal Randwick crowd was treated to a rocking performance from party band Furnace and the Fundamentals in the Theatre of the Horse after the last race on Saturday. Furnace and the Fundamentals played an hour-long set to the crowd of enthusiastic racegoers, who danced into the evening after a day of thrilling Group 1 racing including champion mare Winx’s farewell race in the Longines Queen Elizabeth Stakes. 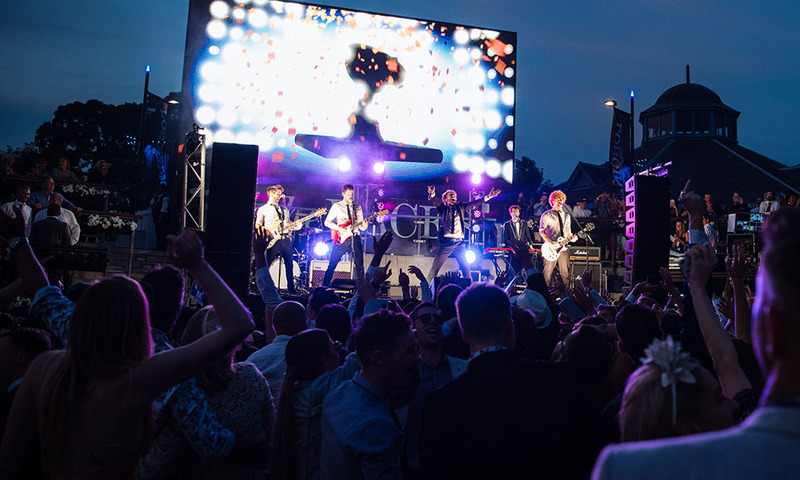 Furnace and the Fundamentals delivered an eclectic blend of the world’s most loved songs including dancefloor fillers from the likes of Beyonce, Mark Ronson, Queen and Daft Punk, allowing Royal Randwick racegoers to experience and enjoy even more live entertainment to finish their day.